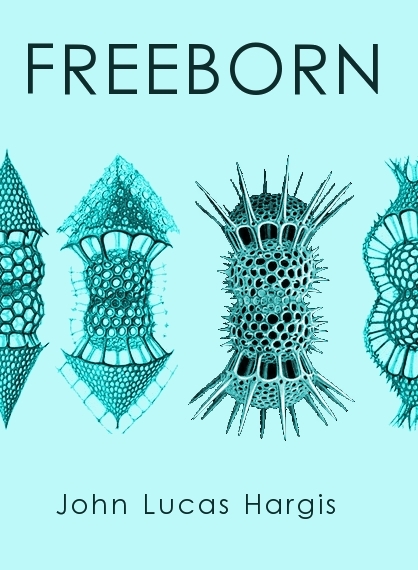 It still needs some tweaking, but this is the working cover for FREEBORN. Even though the virus in the novel causes a pregnancy-of-sorts, I chose to stay away from images of zygotes, ultrasounds, and maternity. I wanted a sci-fi feel without the standard DNA double-helix, chromosome images, gadgets, etc. Overall, this version presents the ‘feel’ I was shooting for. I dig the coloring: an almost clinical/x-ray feel. It’s a work in progress (like the novel), so suggestions & comments are much appreciated. This entry was posted in Novel, Writing and tagged Art, Book Cover, Freeborn. Bookmark the permalink. I considered having just spiky dude. But, I’m not sure he’d read well by himself. The current image shows that her’s different from the others: a reference to the Freeborns in the novel.